" No more seniority here, this should not be misused to bully, intimidate, or hurt someone. 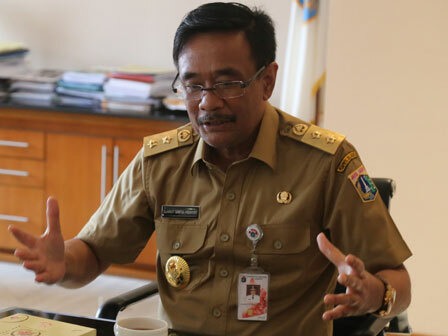 Don't let this happen again"
Jakarta Vice Governor, Djarot Saiful Hidayat encourages students from SMAN 70 Bulungan, Kebayoran, South Jakarta, to eliminate seniority tradition. Several things that should be avoided are about bullying and intimidation from seniors. "No more seniority here, this should not be misused to bully, intimidate, or hurt someone. Don't let this happen again," he stated, when he became Ceremony Inspector in SMAN 70 Bulungan, Monday (2/29). He warns, clash among students will tarnish the school name. Therefore, the school was demanded to punish students who commit acts of bullying. "If the case happens, I want you (principal and teacher) to summon the actor, we will process it with their parent. Because they tarnish school name of SMAN 70," he finished.